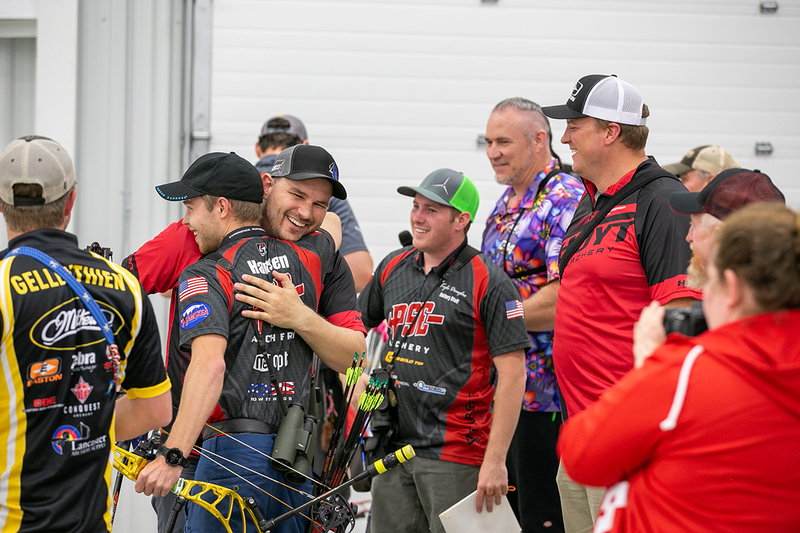 The final stage of the 3-Star Tour took place April 12-14, 2019 in Yankton, SD. The First Dakota Classic is an indoor distance tournament featuring the NFAA Classic round. The Classic Round includes a qualification round shot at 40, 50 and 60 yards, followed by head-to-head elimination matches shot at 60 yards. It’s also a money shoot, guaranteeing 70% payback in all Flight and Championship categories. This year the event grew to 325 registered archers. 16 head-to-head matches started the Championship Compound Open Elimination rounds at the 2019 First Dakota Classic. In the last match for gold, Steve Anderson faced Paul Tedford. After tieing at 146, Anderson beat out Tedford in a 1-arrow shoot off. 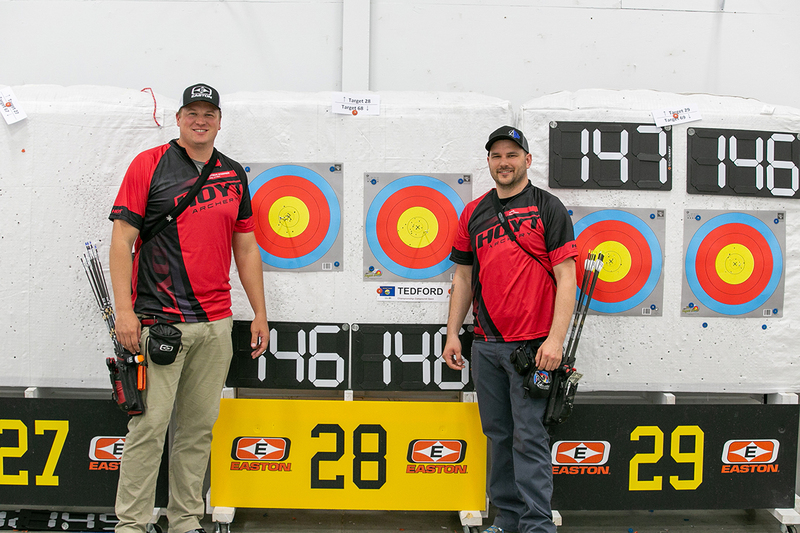 Anderson took home a prize of $5,000 from the NFAA Easton Yankton Archery Center in Yankton, SD. This is Anderson’s first First Dakota Classic title. “It’s always fun to come to Yankton and do well. This is a really fun format. We are shooting outdoor archery, but we’re shooting it indoors, which I love. Yankton is a great place! Every time I come here, it gets harder and harder to leave. I think it’s something you guys put in the water,” stated Anderson. Stephan Hansen also made the podium with a 1-point bronze medal win over Sam Wolthuis. Even though they are from different corners of the world, Anderson, Tedford, and Hansen all keep in contact in a group phone chat, which Anderson boasts makes this podium sweep a little more memorable. The trio rounded out their successful weekend with another win on Saturday night. Tedford and Hansen were the last two standing in the 3 Star Shoot Off for $10,000. The pair beat out 66 other Professional archers (including Anderson) before shooting their final arrow at 45 yards. Tedford was the last man standing and both Anderson and Hansen were the first to congratulate him. This was Tedford’s second time winning the 3 Star Shoot Off with his last victory in 2012. Since 2012, Tedford has represented different bow companies and is in his first year back with Hoyt. 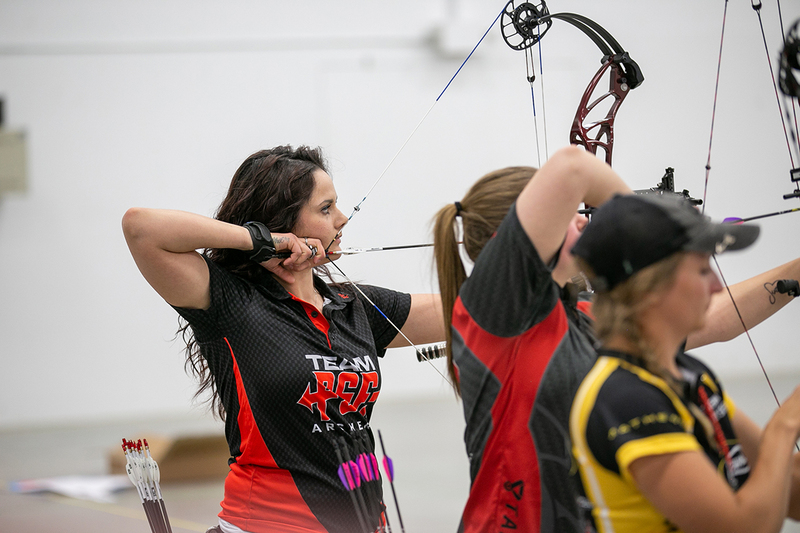 “This is the best part – the first time was with a Hoyt, and the second time was with a Hoyt,” declared Tedford. The 3 Star Shoot Off is an exciting finish to the indoor season. Archers that shoot in The Vegas Shoot, NFAA Indoor Nationals, and the First Dakota Classic, shoot off in an amateur and professional class. This year, roughly 130 archers, ranging in skill levels and divisions, qualified for the special shoot-off. The archers participated in a single arrow shoot-off starting at 10 yards and increasing 5 yards after every arrow. Anyone that did not match the highest score was eliminated, resulting in a $10,000 (Professional) and $5,000 (Amateur) winner. Kameron Henley of Calhoun, Kentucky won the amateur prize of $5,000 from a pool of 60 amateurs. The top 32 archers who made the 1/16 eliminations included: Stephan Hansen, Reo Wilde, Nicholas Moore, Sergio Pagni, Richard Bowen, Tate Morgan, Kris Schaff, Jake Gleitz, Braden Gellenthien, Steve Anderson, Lewis Holmes, Shane Wills, Dan McCarthy, Carson Sapp, Jacob Pettit, Tyson Kline, Jesse Broadwater, James Lutz, Donnie Thacker, Kyle Douglas, Richard Jackson, Steven Marsh, Jeremiah Starks, Ryan Johnson, Paul Tedford, Christopher Perkins, David Houser, Rod White, Jeremiah McConnell, Bridger Deaton, Carter Gaius, and Sam Wolthuis. In the Championship Compound Female division, Lexi Keller took gold against Dusti Batsch by one point. The bronze medal winner was Alexis Ruiz. In the Championship Compound Senior division, Michael Braden and Rodger Willet Jr. shot off for gold. Willet Jr. won first place by two points. Darren Collins took third place in the bronze medal match. In the Championship Compound Young Adult division, Cole Zeug took gold against Nathaniel Wilken. The bronze medal winner was Sawyer Sullivan. In the Championship Recurve Male division, Seth Mcwherter won the gold medal match against Bryce Seidell. Robby Weissinger took bronze. In the Championship Recurve Female division, McKenna Cooley took first place for the gold against Georgia Artzberger. See full weekend results at https://info.ianseo.net/?tourid=427.